Find this steampunky contraption oddly familiar? Moka coffee pots are a common feature in the kitchen sections of departmental stores like Robinsons and Tangs, and more recently on Qoo10, thanks to the illy coffee store. 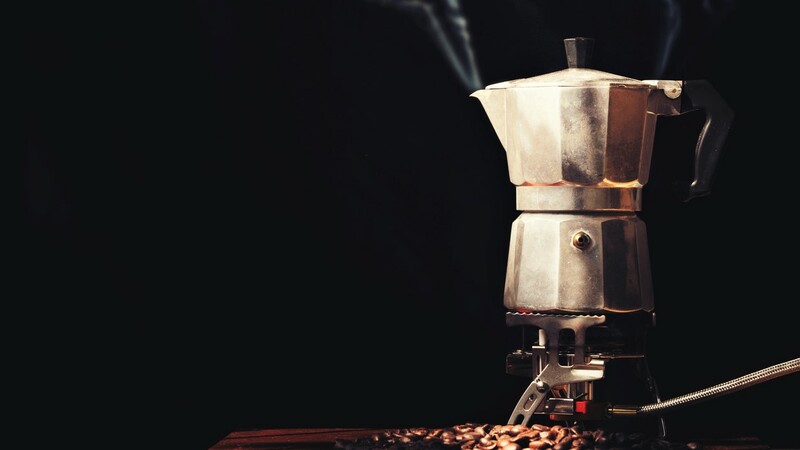 As an affordable and effective method of brewing Italian-style coffee, it is a standard feature in just about every Italian kitchen. The same cannot be said about Asia though, where coffee socks and drip filters are more prevalent methods for percolating coffee. Which explains why we tend to vaguely remember the pot’s decagonal shape, without actually what it is. 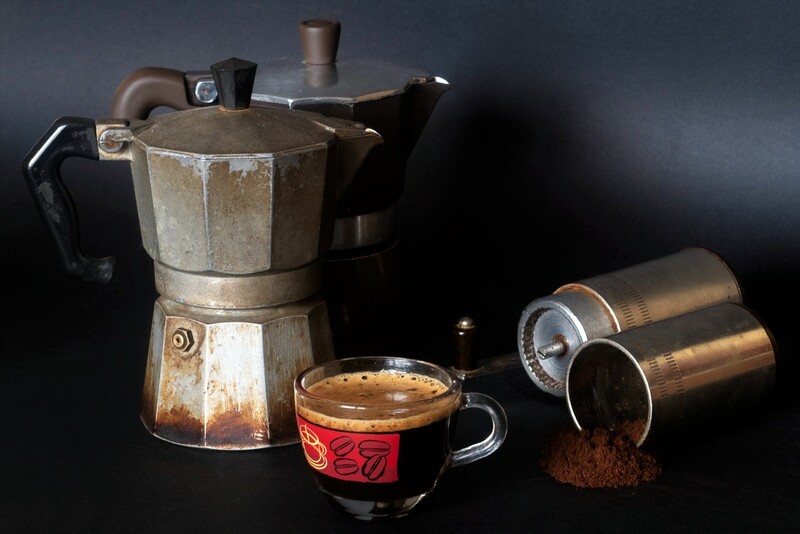 And yes, the moka pot is loosely related to mocha, the hearty blend of coffee and chocolate. Both names originated from the (actual) city of Mocha in Yemen, where coffee used to be a major trade. Arabica beans were previously called Mocha beans, and known for its distinctive flavour of chocolate. As shown in this simple animation, the moka pot works by forcing heated water from a bottom chamber through a filter layer filled with coffee grounds, out of a long internal spout to settle in an upper chamber, where it can then be poured out and served. But what are the benefits of brewing coffee with the moka pot? Considering the huge potential it has in brewing endless cups of coffee, moka pots are a relatively low cost investment. That and buying your own beans or ground coffee makes for far cheaper cuppas than constantly having to get your fix from coffee shops. 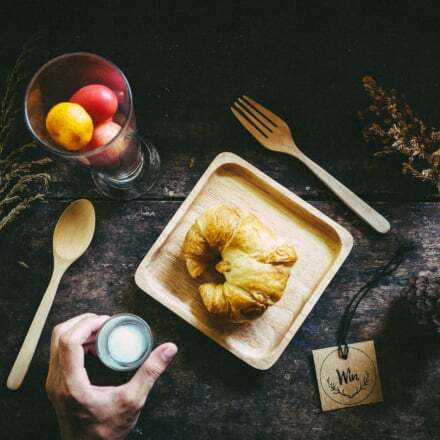 Plus, the coffee you make is also probably more suited to your individual tastes (and there’s no one else to blame if it isn’t). 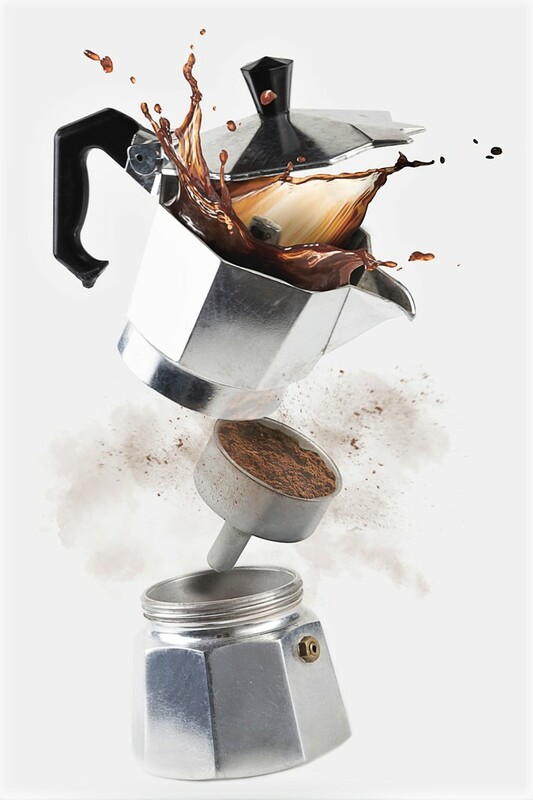 Because it has no moving parts and minimal sections in its construction, the moka pot is one hardy block of aluminum. The smallest part of a typical pot is probably the rubber gasket used to ensure that the water and pressure is sealed in, flowing the right way. If you do go camping, as this picture suggests, it may double-up as a convenient tool for self-defense, what with its strategic edges and a very ergonomic handle. Water in the lower chamber. Coffee grounds in the filter. Set filter on top of lower chamber. Screw upper chamber on. Put on stove. Bring to an almost boil. Serve. 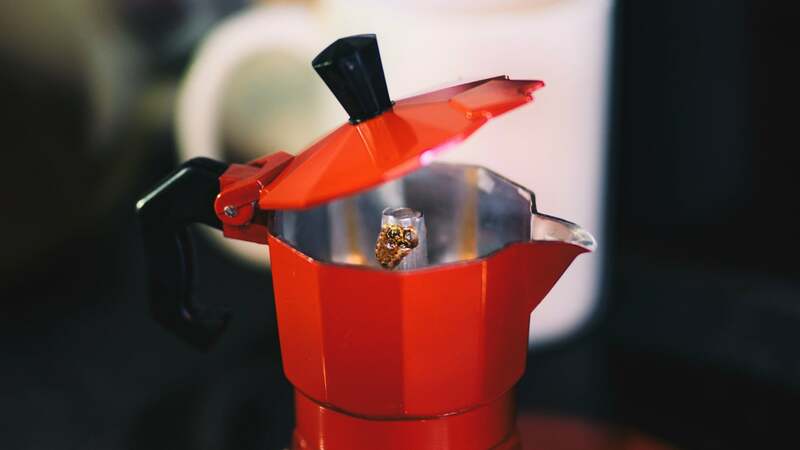 At its core, part of the moka pot’s engineering genius comes from the sheer simplicity of its usage. Pretty much the only thing you may want to take note of is pressurisation, which can cause you nasty scalding if boiling water erupts from the top spout like a volcano. And that can pretty much be avoided if you remember to keep the rubber gasket clean. And include the ground coffee. And keep the lid closed. People make coffee first thing in the morning, before they’re awake. Silly things happen. 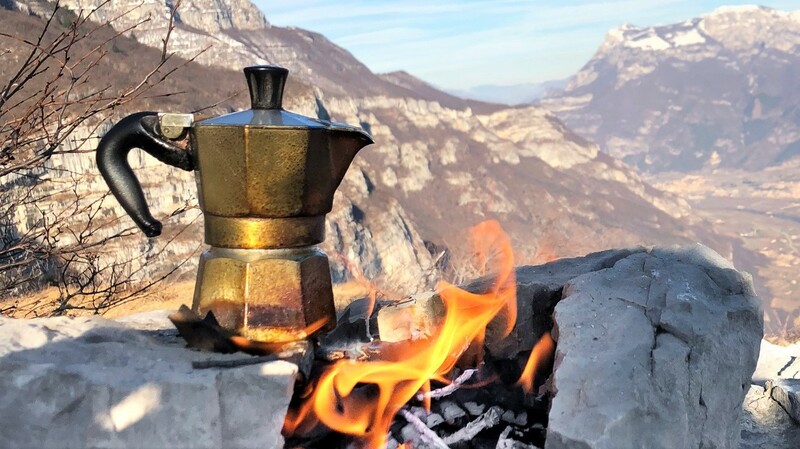 Once you master the basics of brewing coffee through the moka pot, a whole ‘nother world is open to you! Type of coffee, grind size, water temperature, when to lift the pot off the stove and stop the brew… the possibilities and permutations are plenty. With enough brews, you can experiment to discover the optimal method for drawing the most out of your favourite beans. Okay so this point may be more relevant around Asia. Maybe don’t try it if you’re in Europe. 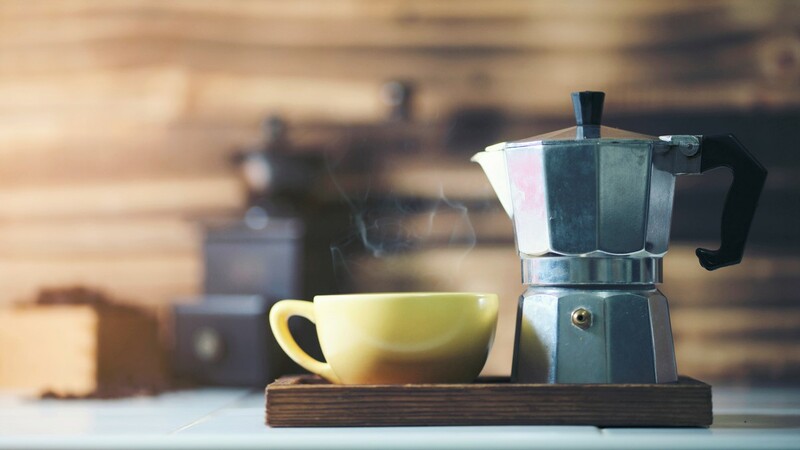 You’ll be getting some weird looks, since there’s a good chance your European friends have known moka pots for as long as they’ve had memories. 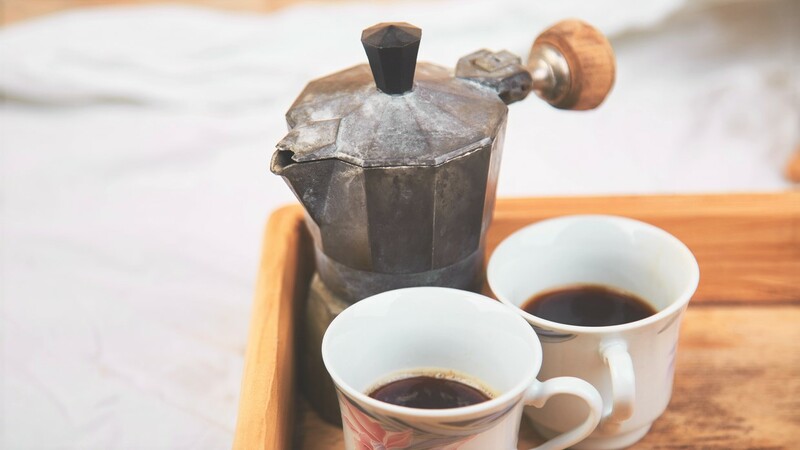 The unusual way a moka pot operates has fascinated generations since its invention in 1933, and continues to do so today. Invite your friends and guests into your kitchen to observe this unique way of brewing coffee, and we’re guessing it won’t be too hard to convert a few of them into moka pot believers. Especially if you’ve mastered that killer brew.